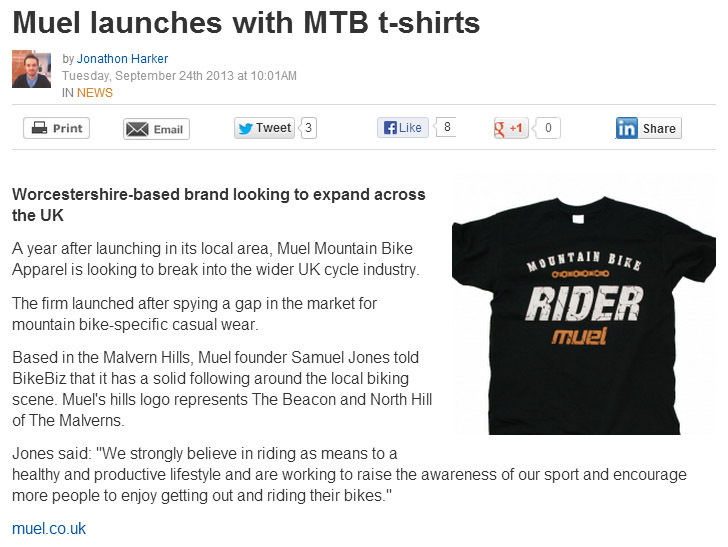 Great to see articles about our mountain bike t-shirts getting into the trade, in on-line features and in magazines! Singletrackworld and MoreDirt are doing a feature and this screen grab is from the BikeBiz article in September. Looking forward to getting more exposure for the Muel brand and sharing what we are doing with the biking world!